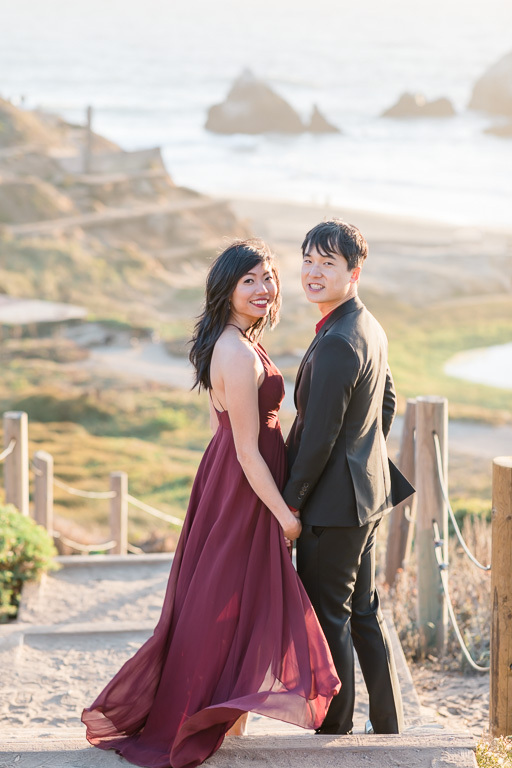 We met JJ & Alex a few months ago, and we loved these two instantly! 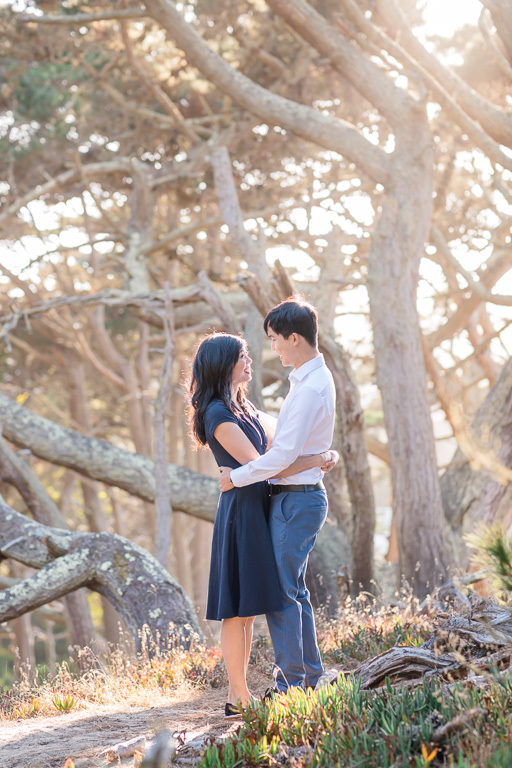 They’re both outwardly a little bit shy — in a very cute and endearing way 🙂 But you sure wouldn’t be able to tell from looking at their expressions and movement in these photos! 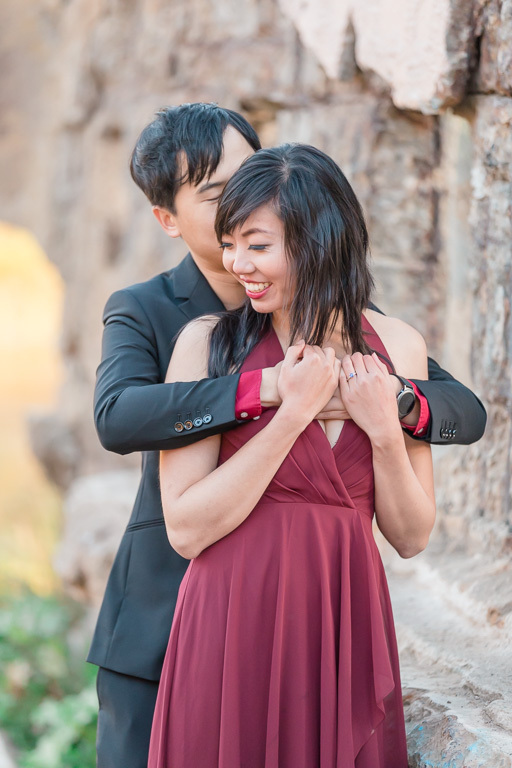 We really loved how this set of engagement photos came out. 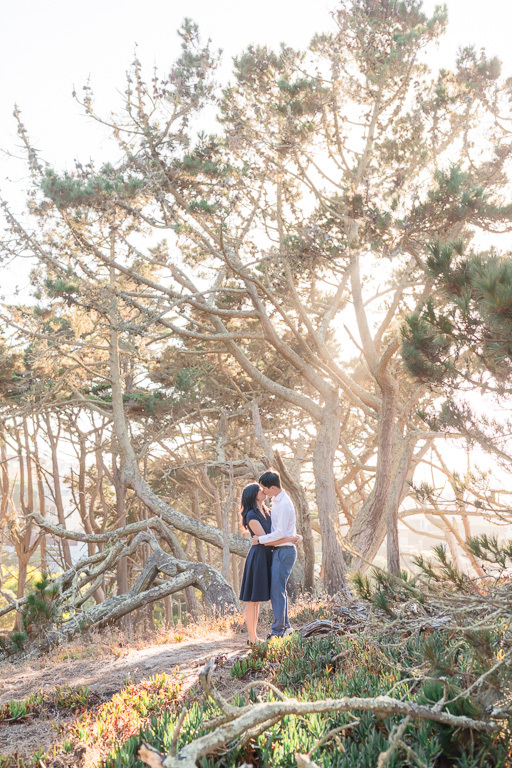 We started out at Baker Beach up in the wooded area. 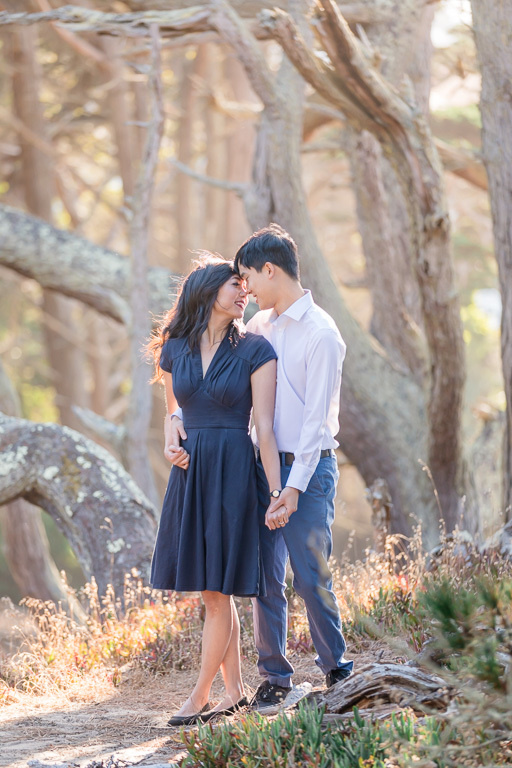 It’s perhaps less well-known than the actual beach itself, but we were able to shoot in the magical forest light without anyone else around on one of the busiest days of the year. 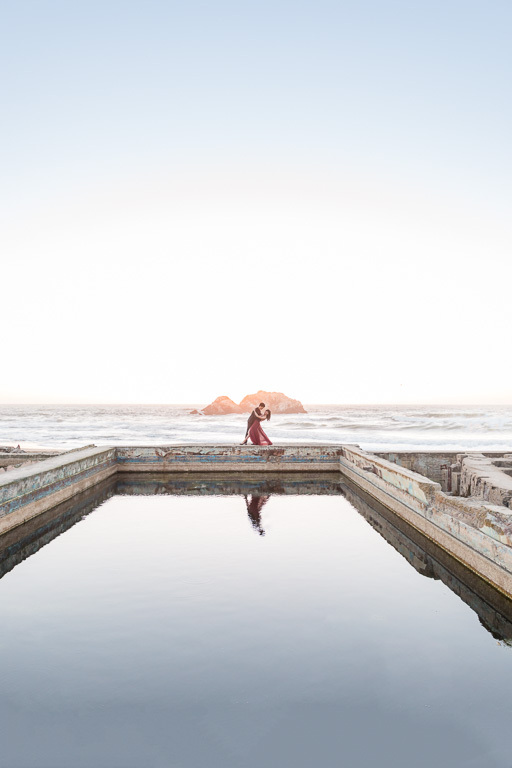 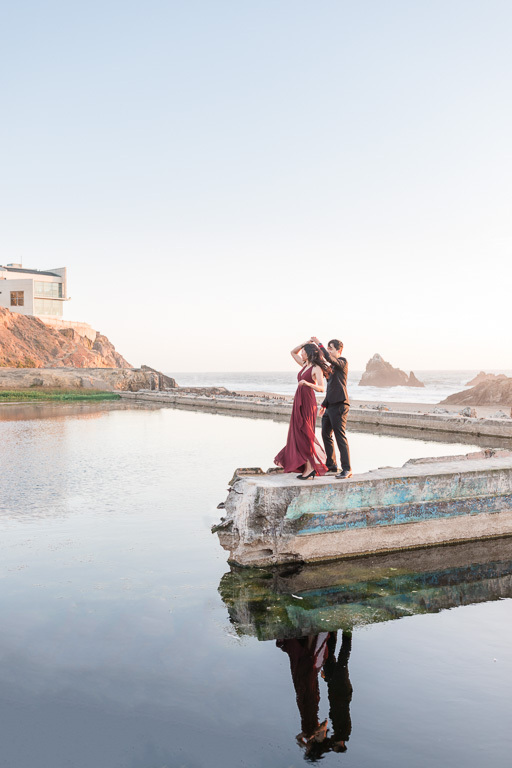 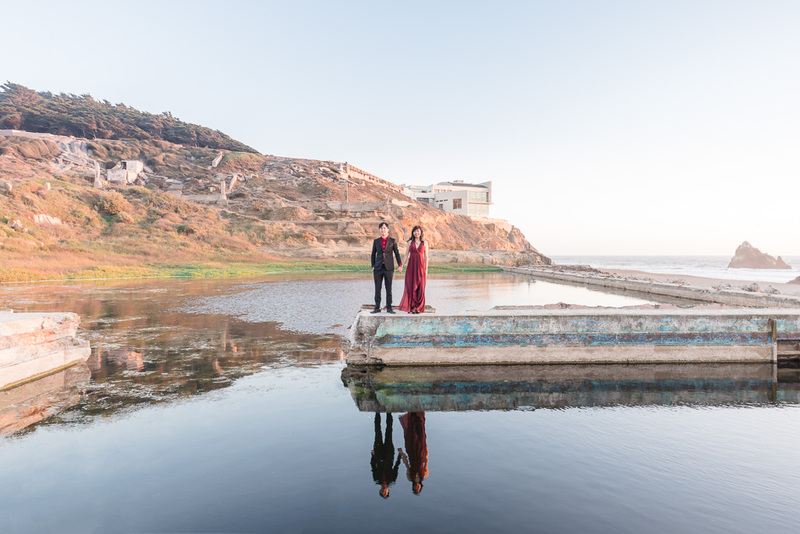 We headed to the nearby Land’s End for the second half of this shoot and well, that might just be our favorite set of Sutro Baths photos ever. 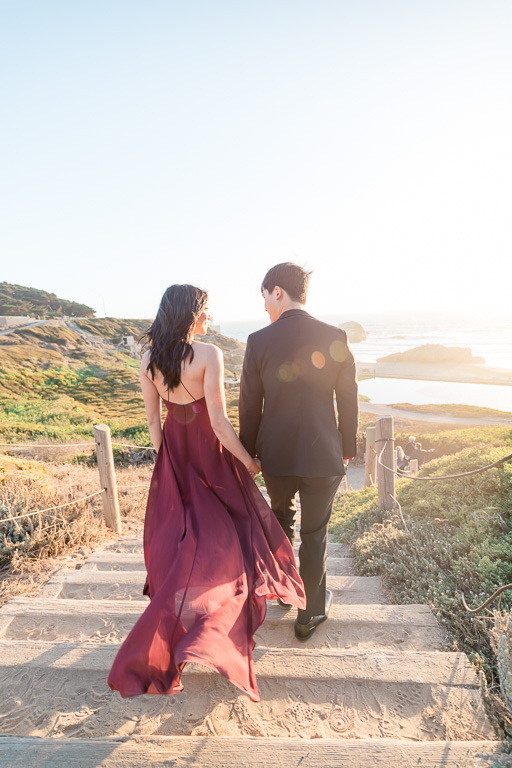 JJ & Alex have a great connection with each other, and in addition to that, they were so perfect and graceful in front of our cameras. 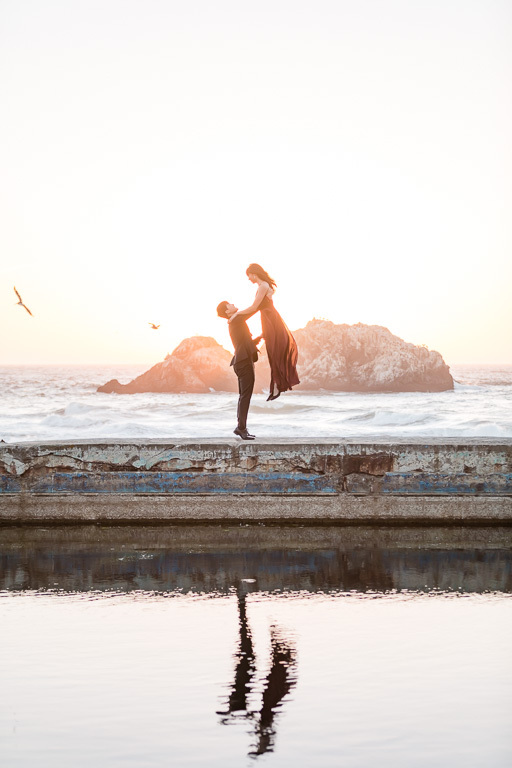 I suppose that should have come as no surprise, since dance is how they first met, and it remains an important part of their lives together. 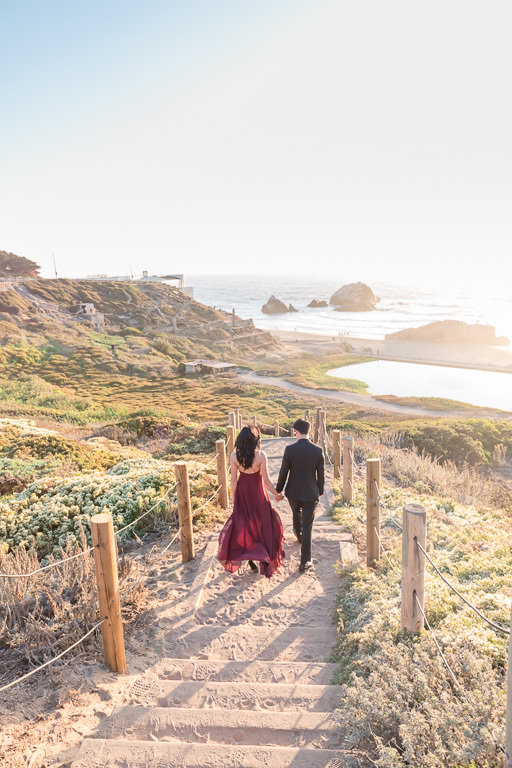 We’re so excited to share these. 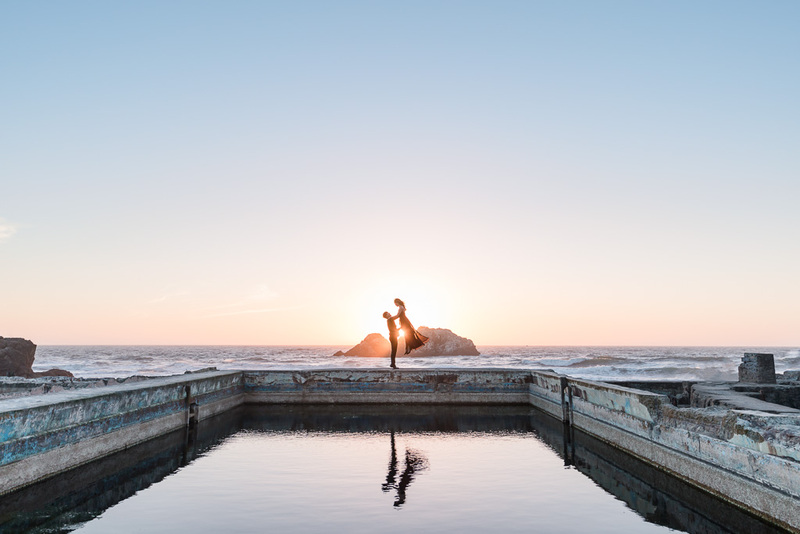 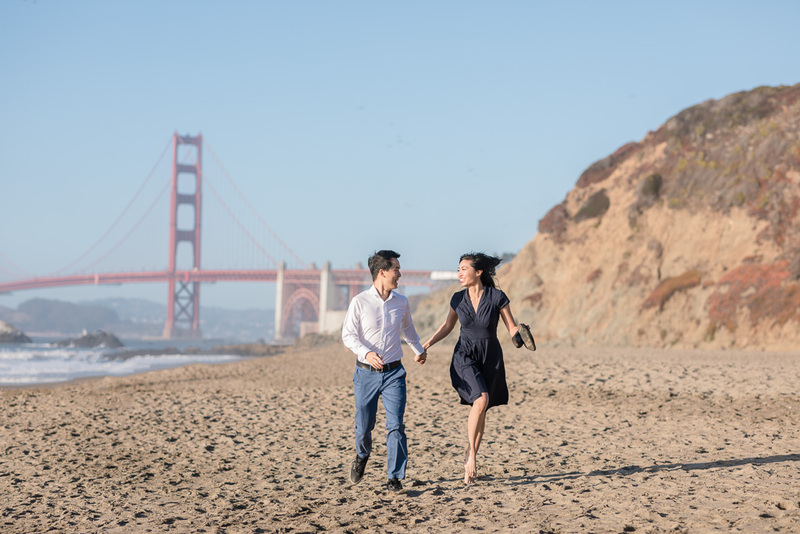 Take a look below at this beautiful collection of San Francisco golden hour engagement photos!